Jamesbury® Wafer-Sphere high-performance butterfly valves provide long-lasting tight shut-off capability, excellent flow characteristics, and long service life. Available in a wide choice of materials for a broad range of applications. API-607 (Fire-tite) & CE Marked versions available. Duncan carries in stock many automation accessories available for quick shipment. Contact us today for help with your applications! We recently had a customer come to us to help resolve a current problem they were having with a competitor’s valve and actuator, they were having failure on multiple valve systems. 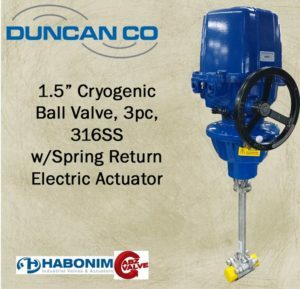 This application was for Natural Gas at a power station and they needed a heavy duty Spring Return Electric actuator for this cryogenic application. Since our initial shipment, we have sold over 200 of these units. Do you have an application giving you problems? 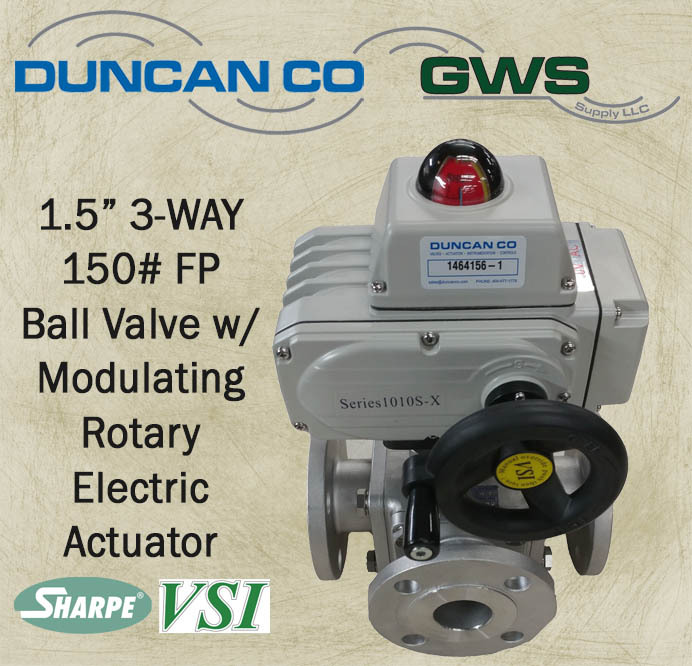 If so, contact us at the Duncan Company and ask how we can help get you the right valve for your application! 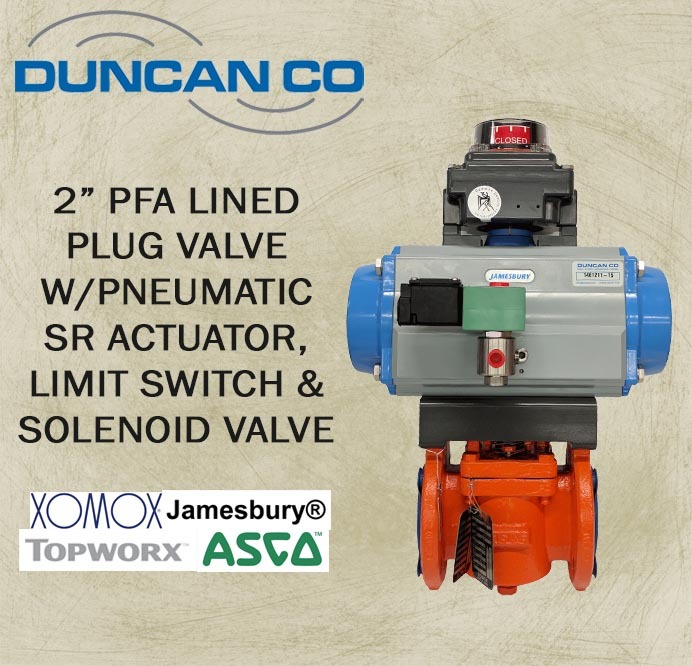 Duncan Company can help you with your Butterfly Valve needs from Resilient Seated Butterfly Valves to High Performance and anything in between such as Damper Valves or Sanitary Butterfly Valves we have it all. Having trouble finding a valve in stock for quick delivery? Contact us at Duncan Company and our inside technical staff can help solve your problems. Contact us at Duncan Company for more information or help with your applications! For corrosive applications, both the choice of lining material and the method of lining are critical considerations. Contact today for help with your application! Typical Applications but not limited to, municipal water and water treatment, clean water technology, chemical transfer and processing, aquatic and animal life support systems, mining and mineral processing, metal plating/surface finishing, marine, pulp and paper, landfills/environmental infrastructure and other demanding applications. Model HP-1+6+S — most commonly applied to develop a constant differential pressure across a rotating shaft seal to provide proper sealing and lubricating conditions over varying pressure ranges. *For gaseous and non-flashing, non-cavitating liquid services. Ranger QCT — is a universal control valve that is applicable in most control valve applications, especially steam. 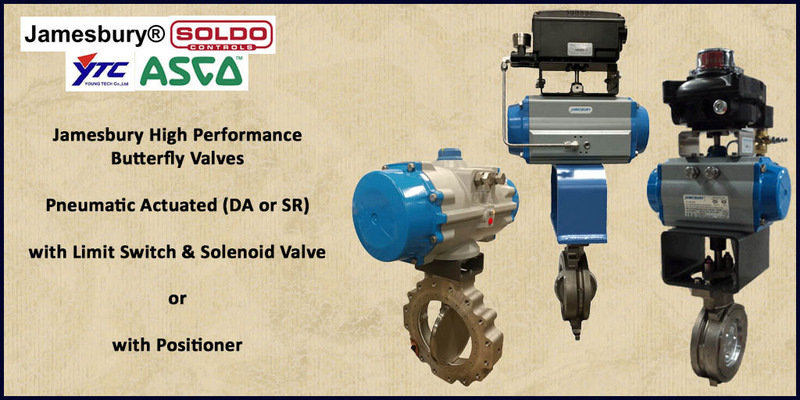 It provides longer life on difficult services where conventional ball or globe control valves have problems with body or trim wear. 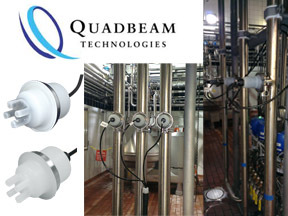 It provides noise control for gaseous service, and cavitation and flashing control for liquid service. It is able to withstand temporary distortions due to “thermal shock” without compromising continued control of the process. Model 2296 — is capable of handling air, gases, oils, water, oxygen, steam and many corrosive process fluids. With optional construction it is suitable for cryogenic service.